Custom design your own unique wrestling singlets. Choose either folkstyle singlet with or without leg grippers. Flex-Tuff - Lightweight, moisture wicking stretch fabric delivers ultimate flexibility and performace. 1. Click on online designer link. 2. 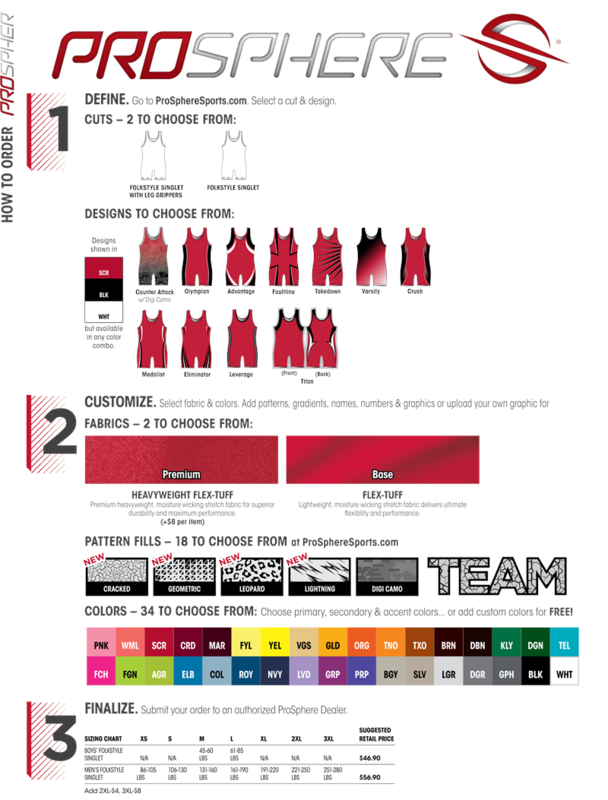 Design your uniforms - style, colors, lettering, logos. 3. You will receive a retrieval code when you save the design. 4. 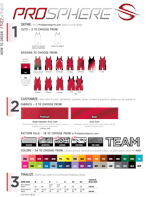 Fill out this page with the retrieval code and buy your uniforms. 5. We will email you a proof to approve. 10 business day standard production, 5 business day production available with 15% additional charge.